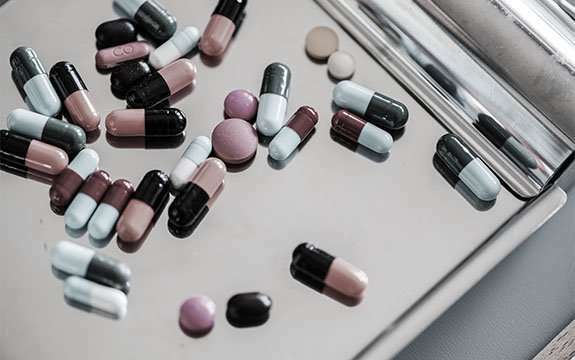 A new study led by Swinburne shows trading of prescription opioids through the darknet has increased in the wake of tighter regulation by the US government for this category of legal pharmaceutical products prescribed by doctors. In the study published by the BMJ and conducted by Swinburne, University of Kent, Université de Montréal and University of Manchester, researchers analysed the effects of the Drug Enforcement Administration (DEA) 2014 restriction in how hydrocodone combination products (HCP) were prescribed by doctors. "Hydrocodone was the most popularly prescribed opioid painkiller in the United States, and its use, along with oxycodone, has been implicated as one of the major drivers of the US opioid crisis," says lead researcher at Swinburne, Associate Professor in Criminology, Dr. James Martin. "In order to combat misuse, in October 2014, the DEA moved painkillers containing hydrocodone from Schedule III to the more restrictive Schedule II category, making the drug significantly harder to obtain from medical professionals." Professor Judith Aldridge from the University of Manchester says, "While these changes have been shown to reduce the available supply of these medications through legitimate channels, what is less well understood is whether users may seek out illicit supplies via illegal markets in response." "Our study used data obtained from 31 of the world's largest so-called 'darknet' drug markets in operation up until last year. We were therefore able to identify some of the unanticipated consequences of restricting drug supplies in a context of high consumer demand," says Dr. Jack Cunliffe, Lecturer at the University of Kent. The study found that after the introduction of the DEA's regulations, illicit trading of these substances increased by around 4 percentage points a year, meaning the amount of trade that prescription opioids represent in the US doubled over the study period. There were no significant changes to other categories of pharmaceutical drugs, including stimulants such as modafinil, or sedatives such as Diazepam and Xanax. "We found that in the period immediately following DEA's new regulations there was a rise in the proportion of US cryptomarket drug trade attributable to prescription opioids," says Dr. Martin. "Our study provides solid empirical evidence that restricting the legal supply of hydrocodone in the US was correlated with a significant, sustained increase in people sourcing illicit opioids from the black market, in this case anonymous drug marketplaces on the darknet." Dr. Martin says the opioid crisis is the biggest public health emergency currently facing the US. "Our research indicates that in order to effectively tackle this health problem, other policy responses, such as demand and harm reduction, are necessary, rather focusing on supply reduction alone." Dr. David Décary-Hétu at Université of Montréal in Canada also urges people not to interpret this study as a suggestion that the darknet is fuelling the US opioid crisis. "We would argue against this interpretation; our research indicates that trading of illicit opioids on the darknet is demand-driven, meaning that darknet drug traders are responding to existing demand for illicit opioids, rather than creating the demand in the first place," says Dr. Décary-Hétu.